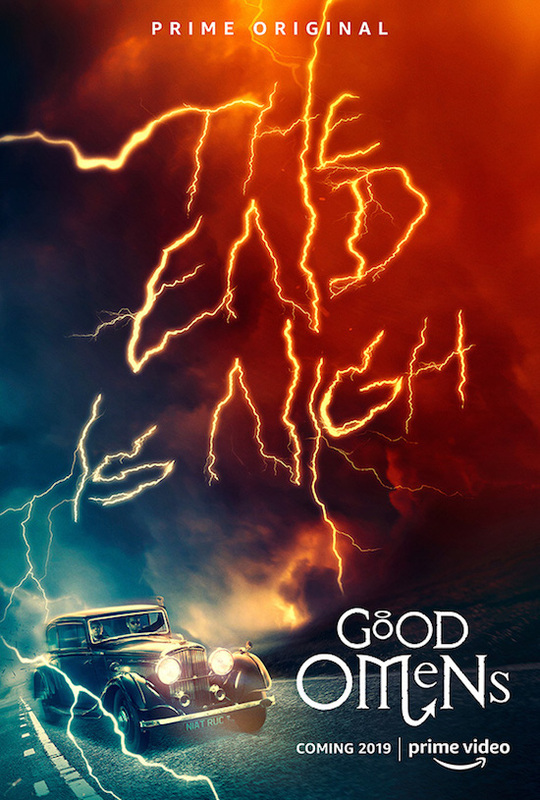 Holy…Frances McDormand has joined the cast of Prime Video’s GOOD OMENS as the voice of God, it was announced via a cheeky audio intro at Comic-Con. The series is based on the book by Gaiman and Terry Pratchett. The series stars David Tennant, Michael Sheen, Jon Hamm, Anna Maxwell Martin, Josie Lawrence, Adria Arjona, Michael McKean, Jack Whitehall, Miranda Richardson, and Nick Offerman. And check out the new art!